Now you can leave your Moultrie game camera out in the field without worrying about it being stolen. 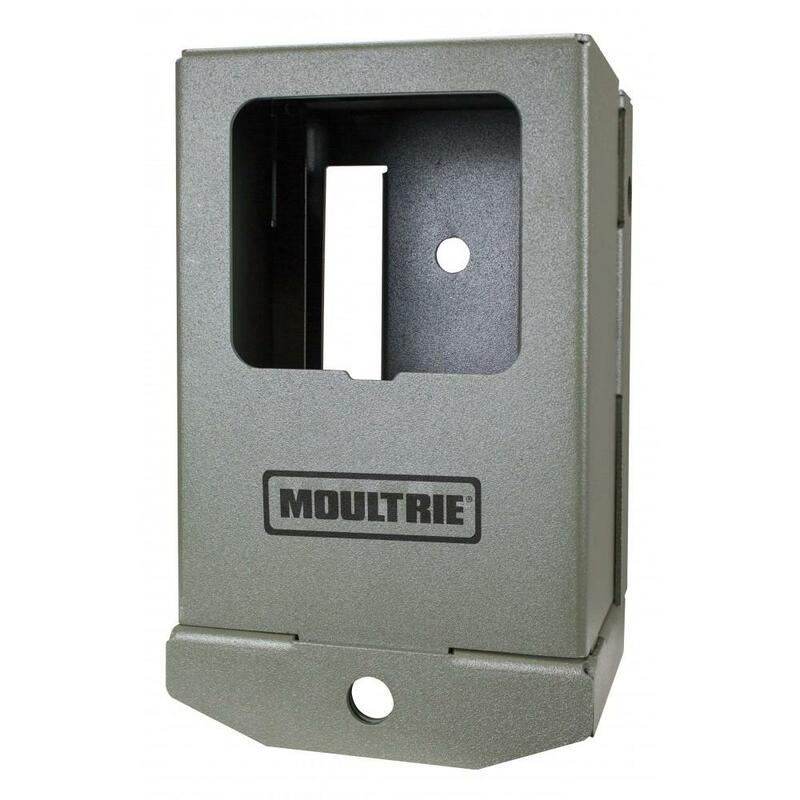 Powder-coated and made from heavy-duty 16-gauge steel, the 2017 M-Series Security Box is designed to easily strap to a tree, pole or other permanent structure. Simply slide a Python™ or other 1? security cable through two holes in the back plate and secure it with the included lag bolts. A front piece that locks with a padlock (not included) secures your camera inside the box while allowing it to remain usable. The box’s design also allows for the easy installation of an optional Moultrie power panel. Whatever Moultrie camera you own, from the best-selling A-5 to the Panoramic 180i, we offer a security box built specifically for it.